Last week I was in New Delhi teaching and had started my summer in Washington D.C. Although there are similarities, the differences between the two cities are stark, raw, and underlie the geo-political differences currently affecting the relationship between India and the United States. What is similar is both cities are the capital to the largest and second largest democracies in the world and both have beautiful monuments built along the neoclassical style. One day I went for a long walk through New Delhi and was struck by the view along the Rajpath Ceremonial Boulevard and how much it resembled the mall in Washington! 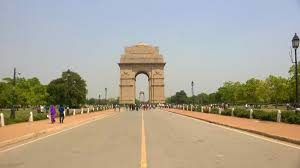 The boulevard runs between the presidential residence (Rashtrapati Bhavan) and India Gate, a monument to Indian soldiers killed in World War I, but gives a very similar feel as the Mall in Washington which runs from the Capital to the Washington Monument. New Delhi was, of course, laid out by the British, and the residence was built in 1910 for the English Viceroy who ruled over most of modern India, Bangladesh, and Pakistan during the time of the Raj. Another thing that was similar this summer is that both cities were very hot and humid and both define themselves largely by the course of the Potamac and Yamuna rivers. Beyond the apparent similarities, however, the two cities are very, very different and reflect the deepest differences between India and the United States in economic and demographic terms. Washington is a mere 177 square kilometers and was developed as a result of a political compromise after the American War for Independence in the early 1800s. The city has a population of just under 700,000 people. Delhi spreads over 1,484 square kilometers and has been a city for thousands of years. 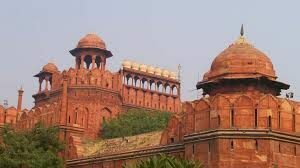 The seventh major city founded at the site was called Shahjahanabad after Shah Jahan, the Mughal emperor who moved his capital there in 1639 and built the majestic Red Fort. The city has a population estimated at 25-30 million people. A visit to Washington D.C. can include the Smithsonian Institution which has different museums such as Air and Space and the new African American History Museum. One can park along the mall for a limited time and the place is full of middle class families walking around or people playing Frisbee on the perfectly manicured grass. Security is visible but unobtrusive. New Delhi is, in contrast, under construction and appeared to be in permanent lock down. The city is swarming with Police and public buildings are often walled off. All cars are searched prior to entering luxury hotels and there are police units stationed at major sites such as the India Gate and the Red Fort. In economic terms, Washington is the capital of the country with the 11th highest GDP per capita in the world($59,495) while India at $ 7,174 is the 122st! The good news is that under the governments led by Manmohan Singh and Narendra Modi, India’s economy has been growing and is now larger than that of the United Kingdom. India’s middle class, as defined by people with a family income of at least $ 10 per day, is on the order of 300 million people or close to the population of the U.S. The harder reality is that there are about 1 billion poor people living alongside of them in India and it only takes a couple of stops in the city’s gleaming metro to go from high end Western shopping to Old Delhi which is a very different experience. Donald Trump has called Prime Minister Modi a “beautiful man” but reportedly mimics his accent in both public and private meetings. 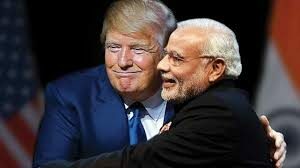 The United States is India’s largest trading partner and Modi has invited Trump to attend the country’s Republic Day parade on the Rajpath Boulevard as “chief guest” but at the time of this writing it is unclear whether Trump will accept. One of the issues at play is India’s plans to purchase Russian S-400 misiles in order to upgrade its defenses against both China and Pakistan. As discussed by the New York Times, India is increasingly shifting to U.S. arms purchases but has a long history buying Russian weapons systems. India fought a brief war with China in 1962 but has fought Pakistan four times since Partition and in discussions with Indian executives, Pakistan is considered the number one threat to the country’s security. The deeper issues facing India have to do with providing economic opportunity and basic things like electricity, water, and sanitation in a way that will somehow be environmentally sustainable. My guess is that Donald Trump has a hard time seeing beyond more popular issues like tariffs on Harley Davidson motorcycles or Russian misiles. Excellent article and fascinating facts about Washington and New Delhi. Thanks for the information. 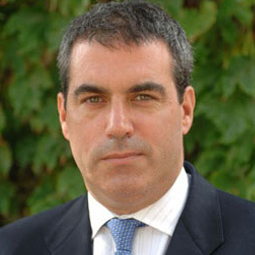 Dave. Very authentic blog. Very beautifully defined about the two countries.